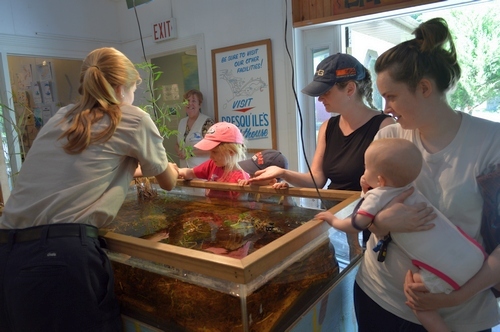 Presqu'ile has two visitor centres. 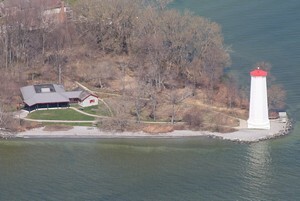 The Lighthouse Interpretive Centre focuses on interpreting the parks' cultural heritage and its relationship to Lake Ontario's history through a number of multi-media displays. The Lighthouse Gift Shop, operated by the Friends' of Presqu'ile, is also located in this building. The Lighthouse Interpretive Building is open 10:00 am to 5:00 pm every day between Canada Day weekend and Labour Day weekend and 10:00 am to 4:00 pm on weekends in spring and fall. It can be opened for group/school tours during the off season upon prior request, subject to staff availability.